Intramural registration is open. Please see link in Registration & Fees tab. The BYC Softball program provides a great sports experience for over 200 girls in the community! The program focuses on core skills, player development, and good sportsmanship. BYC Spring Softball registration opens in January and closes March 1st. The Intramural program season runs from mid-March to mid-June; the Travel program season also starts in mid-March and runs into early summer. For more details on the programs please see the menu to the left. Come join us on the field! We are always looking for volunteers for coaching, pitching instruction, score keeping, fund raising, and more. Please see the Contacts tab on the menu to the left to find your daughter’s age group GM and let him/her know how you can help! 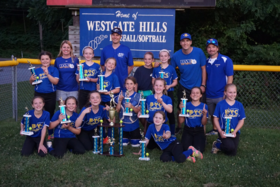 Congratulations to the 2016 BYC Softball 10U Travel team, they won their final playoff game in June to win the DelVal League Championship! The team placed second in the regular season and then fought their way through 7 playoff games to win it all in the A division!! Way to go players and coaches!